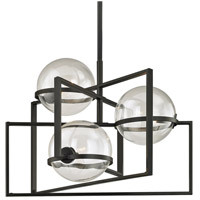 This 4 light Pendant Island from the Link collection by Troy Lighting will enhance your home with a perfect mix of form and function. 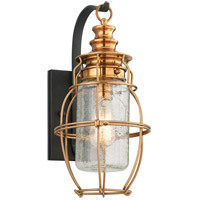 The features include a Bronze Leaf finish applied by experts. This item qualifies for free shipping! Q What is the height of just the shade? 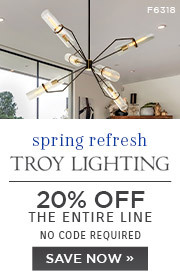 A The shade on the Troy Lighting Link 4 Light Pendant Island F2878 is 10" high. Q Can the entire height be shorter than 41 inches ? If so, by how much? What color is the shade? 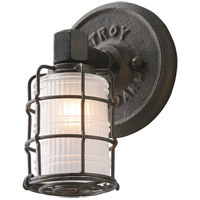 A The Troy Lighting Link 4 Light Pendant Island F2878 height cannot be shorter than 41". The shade color is gold. Q We have a 12 foot ceiling, how long is the chain link and how do you order extra links? 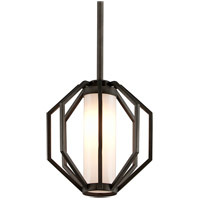 A The Troy Lighting Link 4 Light Pendant Island F2878 has a bronze leaf finish. For use with four 60-watt frosted incandescent bulbs. 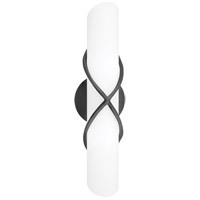 It is supplied with a hardback organza shade, and 3 optional chain links. Each optional link adds 2" in height. You can also purchase additional chain for a longer length. 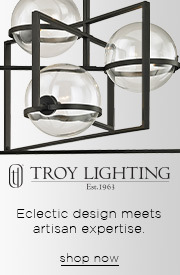 Please call one of our lighting experts at 866-344-3875 option 1 for more information or to order. Q What is the shade made of? 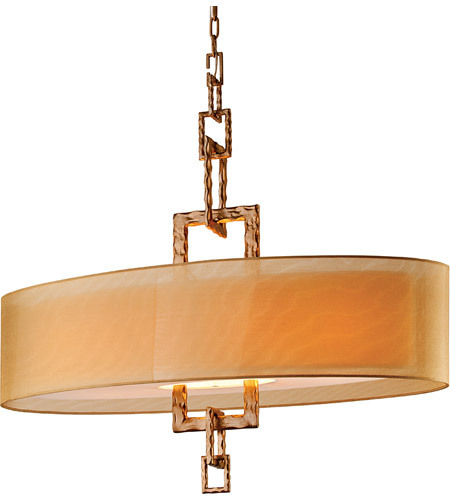 A The Troy Lighting Link 4 Light Pendant Island F2878 shade is a Hardback Organza.